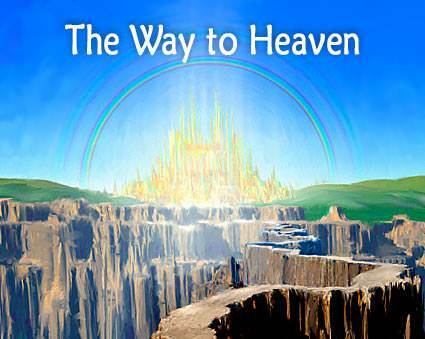 The Savior sent from God | Lesson 4 Questions in series "The Way to Heaven"
1. Hundreds of years before Jesus was born into the world who wrote: "For unto us a child is born, unto us a son is given...and His name shall be called Wonderful, Counsellor, The Mighty God"? 2. Who told Mary she was going to have a son? a) was different from everyone else since He never sinned. b) was the same as most of us only He lived a better life. a) never claimed that He was God. b) said repeatedly in the Bible that He is God. 5. In the middle of a great storm, when Jesus said "Peace, be still..."
a) the men with him gained courage and fought the storm harder. b) the wind and the waves obeyed and became calm. a) to cure all kinds of sicknesses. b) to cure headaches and simple illnesses. a) telling a lazy fellow to get to work. b) raising the dead son of a widow back to life. a) that we try to act like Him. b) that we believe in Him. 9. (OPINION) Before going through these lessons had you thought much about who Jesus is? 10. (OPINION) At this point in your life do you believe that Jesus Christ is the Son of God? c) I need to think about it some more.